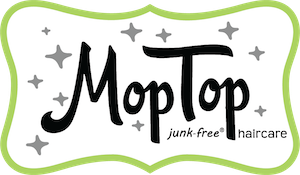 We are the manufacturer and hold the brand registry of all MopTop Haircare products. We are sorry this happened and would appreciate you letting us know your order number so we can work with Amazon to get you the correct product. It is very unusual that when you order one product you would get a different one and so we would love to look into this so it doesn't happen again.